On Saturday, Isaac was at school so we’d planned our main day out caching for Sunday instead. 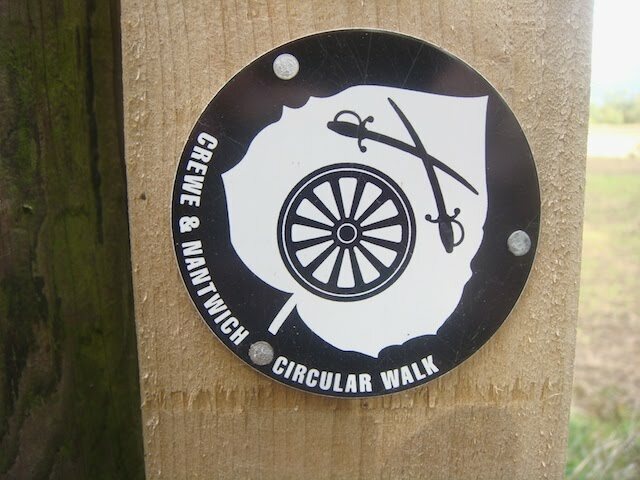 It looked like it was going to be a nice day on Saturday so I decided to head off and try and complete the Crewe and Nantwich Circular series as some of it was on our closest to home Not Found page. I dropped Isaac off at school and headed off towards the first cache, which was the southernmost one in the series. I parked up at the end of a dead end road and walked down the track and over the fields to GZ. A quick scout around soon revealed the cache in a nice spot by a small stream. Next I headed off to clear up a DNF from a few weeks ago. It was a micro in ivy in an area covered in ivy. Thankfully I’d had a small pointer from the cache owner so was able to narrow down my search to a smaller area and soon spotted the cache. How the heck I’d missed it last time I don’t know, but I seem to be in good company with the DNF as several other high finders have failed on it too. The next few caches were up the west side of Nantwich and were all nice and easy with some decent length walks to get to them. The last of these was down as a multi cache but had a logbook in each stage. I could not decide if it should really be two separate Traditional caches, but I guess it does not really matter. Another previous DNF was next on the list and sure enough I soon had the cache in hand. I’d been looking on the other side of the bridge last time as that was where the GPSr was trying to take me. I then set off over the fields for the next cache in this circular walk but the farmer had recently trimmed the hedge and the cache was nowhere to be seen. The wind was whipping a gale over the flat, open fields and I was not enjoying myself so decided to leave the rest of this walk for a nicer day and move on to a new area. I could not resist popping up to Shakerley Mere, just north of Holmes Chapel as we’d totally missed two new caches there the last time we were in the area. We’d literally driven right past the woods they are in on the way to other caches, blissfully un-aware that they were there. Two nice quick finds were had – what a lovely spot for a cache too. I had a lovely walk around the Mere in between the two caches. More DNF clearup’s followed with a trip into Holmes Chapel for one we did not have time for last time and then the final three Cheshire Railings caches that we’d not done last time – or rather we’d DNF’d the first two and totally missed going for the third. By this time I’d done a grand circle round the Holmes Chapel area and was back in Sandbach. Lots of new caches in this area so what a bit of fortuitous planning, even if I do say so myself ;-). A quick one on the Wheelock Rail Trail (an old railway line that is now a lovely cycleway) was followed by a DNF at Sandbach Station. The cache was in a laurel bush at the side of some playing fields in a park. As I arrived, the coast was clear so off I went to look through the bushes. As I was searching some young lads arrived to play football right by the laurel bush I was behind. Hmmmm – only a matter of time before I start getting strange looks as a lone male in some bushes appearing to be watching young lads. Time for a hasty exit methinks… (I’m pretty sure the cache was not there anyway). I opted to get out of the urban areas now and head off for the nearby Missing Pieces series. Not much to report here apart from lots of easy finds, a quick rainshower and then a DNF at the last one. The hint said “leave no stone unturned” and I didn’t leave any stones unturned. I also did not find the cache and can’t think where it is, unless it’s missing. Time was getting on by now and I still had the 5 Crewe and Nantwich Circular caches down the east side of Crewe to do so off I headed. The first was a lovely walk through a field of HUGE maize which was great fun. I nearly missed the cache as I was expecting it to be magnetic given where it was hidden, but it was just lying on the ground under the item at GZ. I then walked down the PF on the other side of the road from this cache and onward to the Little End and Big End caches. I think the cache owner had intended Little End to be the last one in the series but then decided to put out a bigger cache for the final cache. You have to find Little End to get the co-ords for Big End, which is then a short walk away. Highlight of the walk was catching a glimpse of the lovely Haslingden Hall – a fantastic timber framed building. Just two more for the series now. The first was a longer walk along the edge of a railway line, first through woodland and then on a boardwalk over some lovely wetlands. The cache was a nano (not sure why it’s not a much bigger container in such a rural location, but hey, it’s a smiley). 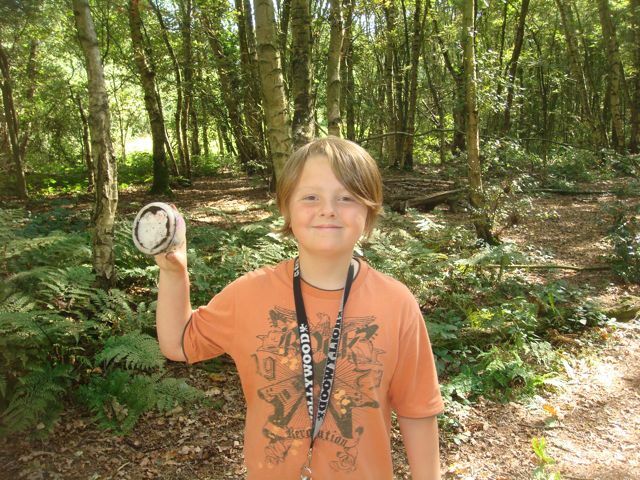 The final cache of the day was a DNF from last time as the cache was missing (or was it – read on!). The hint mentioned a Beech tree so I’d swatted up on my leaves so I knew which trees to look at in the woods. Little did I know virtually every tree there was a beech – doh! A systematic search around GZ soon paid dividends though and I had the cache in hand. The odd thing was I think it must have been the original cache as the logbook was signed by all sorts of people. The cache owner had checked the old cache was missing and placed a temporary micro for now in it’s place. The cache I found was a small and not a micro so I suspect there is now two caches in the woods. That’s the Crewe and Nantwich Circular series finished now and it’s just about teatime so I’ll head off home to get set up for the day out with Isaac tomorrow. 24 finds in total and some great walking.